I am fairly certain I won’t be able to move this morning. The last two days I have been at Yoga Sculpt Training for CorePower Yoga and I think I might have squatted myself silly. I can’t remember the last time I did that many squats at once. It has been awhile and my legs are letting me know. Learning a new format has really taken me outside of my comfort zone. It is humorous to hear yourself try to teach knowing where you want your class to go but being unable to verbalize it effectively. In honor of the insane amount of squats and pushups I have done over the last two days I wanted to share the love with you! 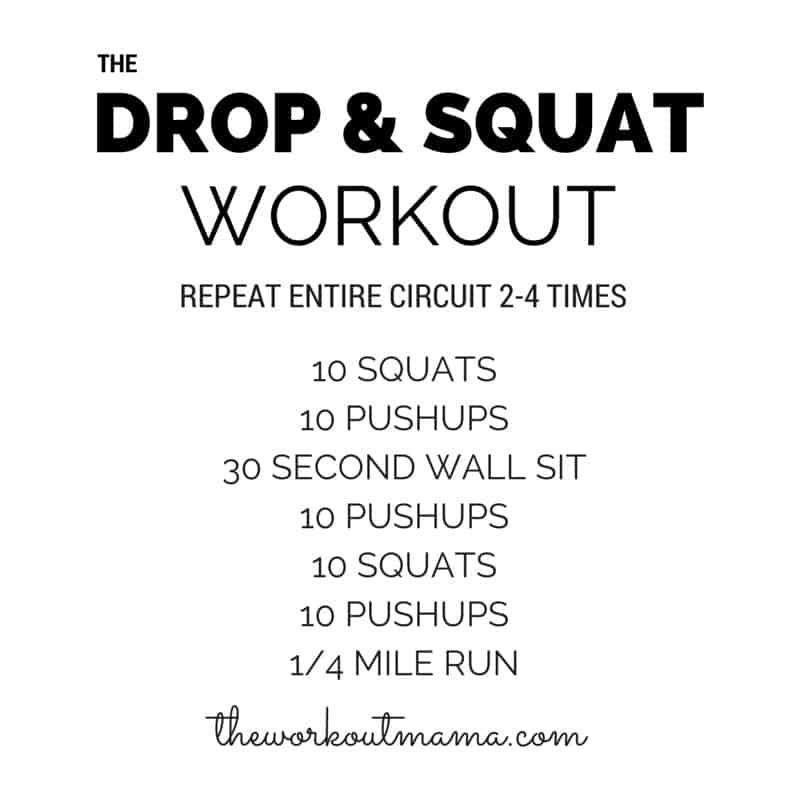 Here is a fun workout that has just the right amount of squats and pushups to get your heart rate up with a fun little cardio burst thrown in at the end. Have fun and remember to drop low into each and every squat. Keep your chest up and those hips back. Hope you all have a great weekend! Just curious, has anyone taken class at CorePower Yoga? Would love to hear your thoughts! I LOVE CorePower! I used to go every day for about a year and then every day when I was pregnant with my son (sometimes twice a day when my husband was deployed) and I was in the best shape of my life. We had to move though and now we don’t live anywhere near a studio which makes me so sad. I loved the sculpt classes so much!